Velikiye Luki is a large multi-faceted trade, industrial, cultural and educational hub in Pskov Oblast. It was first mentioned in the Novgorod Chronicle as Luki on the Lovat in 1166. 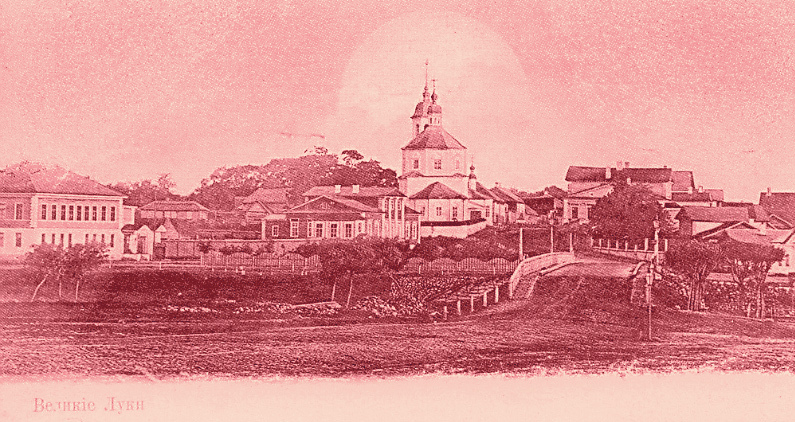 The city earned the titles of “Novgorod neckpiece” and “Moscow auricle” for its military merit. 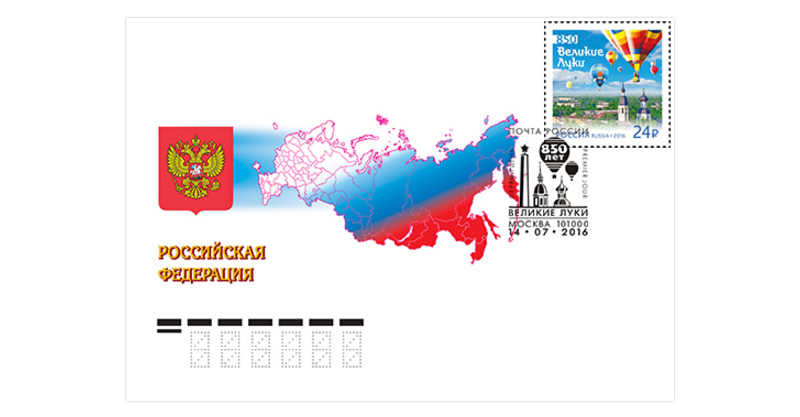 Luki received the title of “Velikiye” (Great) in 1406. Fierce battles were fought to liberate Velikiye Luki during the Great Patriotic War. The city was conferred a title of a city of military glory in 2008. 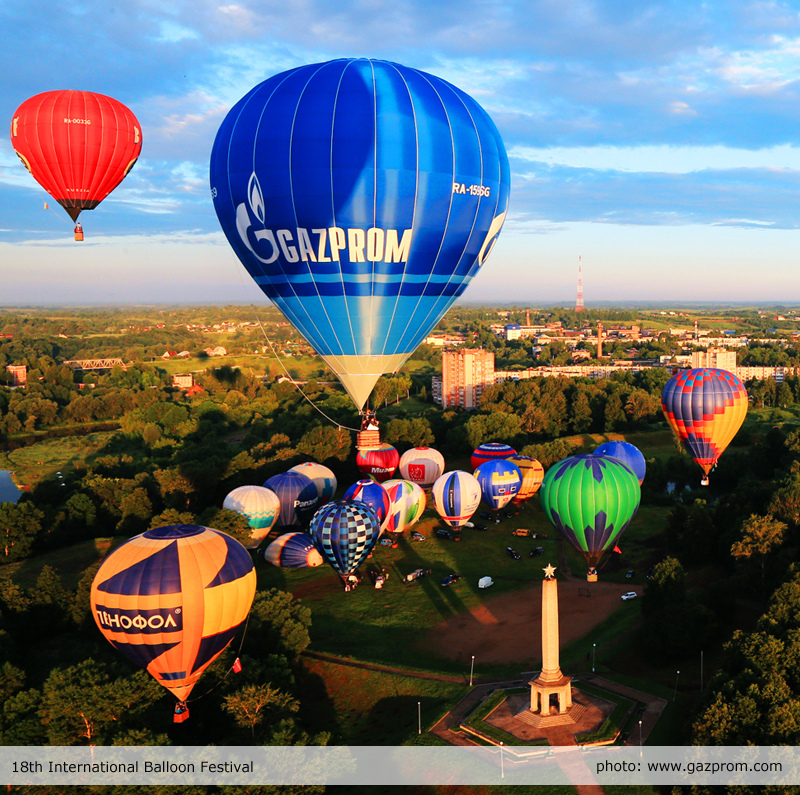 The city’s hallmark is the International Balloon Festival, a celebration held in Velikiye Luki annually since 1996 and attracts many tourists. 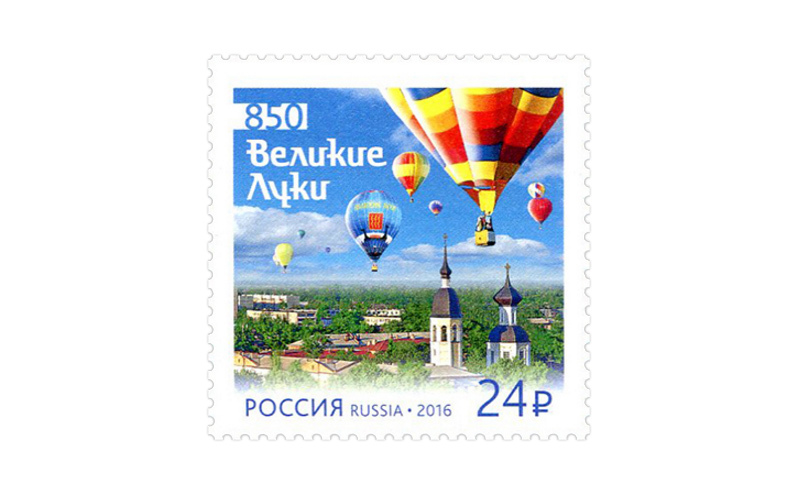 The postage stamp features the Cathedral of the Ascension of the Velikiye Luki Diocese and a view of Velikiye Luki during the annual balloon festival.